SUMMER! Gotta love it! What could be more fun? Welcome to movies on the beach in Coney Island. As part of the historic area's vast makeover, you can enjoy free films this summer. The movies are shown on a huge forty-foot screen. Grab a hot dog at Nathans, or spend the afternoon exploring the NY Aquarium (open 10 a.m.-6 p.m.)and walking along the Atlantic Ocean boardwalk! 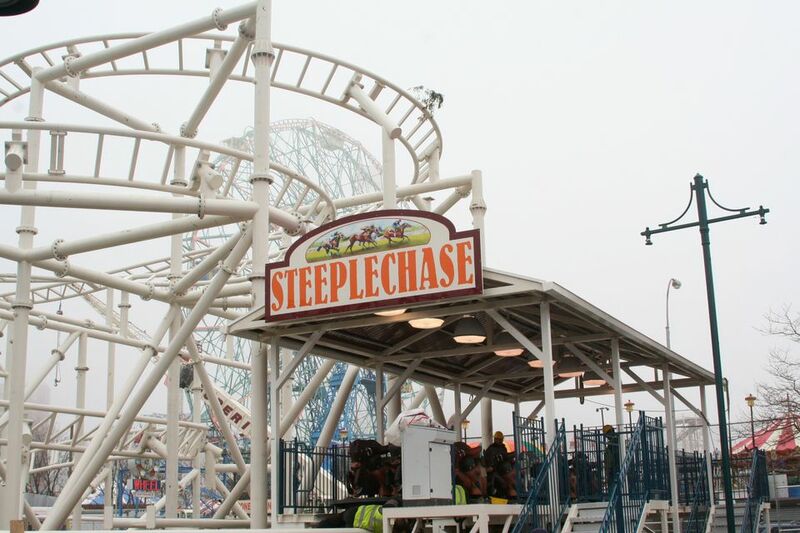 There's tons to see and do in Coney Island. Make a day of it! Before the movies, you can have a dinner at Totonno's or ride the cyclone, but you can also pack a picnic and watch a flick on the beach. If you love watching flicks under the stars, there are many summertime film series in Brooklyn, from films in Brooklyn Bridge Park to Summerscreen in Williamsburg which hosts by films and concerts. Here's a roundup of some of the best free film series to enjoy in Brooklyn. If you don't mind shelling out the cash, Rooftop Reds in the Brooklyn Navy Yard has a weekly film series. It costs thirty bucks to watch a movie on their scenic spacious rooftop vineyard, but the price includes a glass of wine and two slices of pizza. You don't have to pack a blanket, although there is enough space for one, because they have a ton of folding chairs. Enjoy the flicks!